Fact-checking Campaign 2012 has become more than a fulltime job, but one danger is to apply false equivalence as fact-checkers protect their “credibility” by blaming both sides equally. That ignores the fact that some people lie more than others and some of the lies are bigger. One reason lying apparently works in politics is that so many people are content to tell themselves that “everybody does it.” This illusion may be comforting, but it’s also a self-deceptive evasion of harder truth: the scale and frequency of lies matter, and everybody doesn’t lie on the same scale or at the same rate. 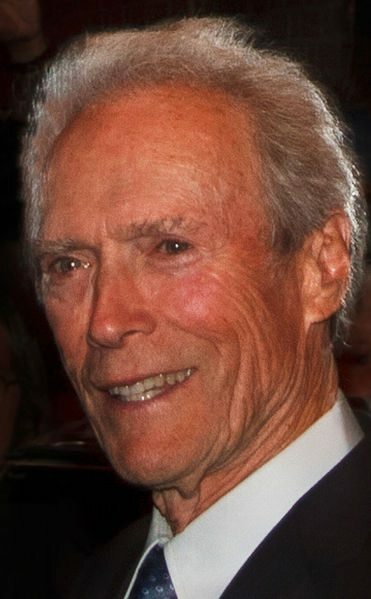 To take a relatively small example, Clint Eastwood asserted in passing, without elaboration in his talk-to-the-empty-chair at the Republican National Convention, that “there are 23 million unemployed people in this country.” That is simply false. There have never been 23 million unemployed people in this country. In the worst year of the Great Depression, 1933, there were 12.8 million people unemployed and the unemployment rate was 24.9 per cent. That’s an indirect way of admitting Eastwood was wrong, of course, and meets the low expectations so many people have of political campaigns. Unfortunately, most of the “fact checkers” out there used the same forgiving analysis that only blurs reality. Using a nuanced breakdown of workers who may want more work as a way to suggest that people with part-time jobs count as “unemployed” is to act in bad faith. The tactic is imprecise to the point of falsehood. As of the beginning of August, the United States had 12.8 million unemployed people, more or less, according to the Bureau of Labor Statistics. On this basis, the calculated unemployment rate is 8.3 percent. Usually left unstated is that these statistics are only ballpark figures, imprecise measurements that provide some sense of scale, but no serious precision as to the nature of the problem, never mind its history or possible remedies. Even a critical source like Daily Kos used the mainstream media formulation that you could justify the unjustifiable statistic of 23 million unemployed if you also counted people who weren’t unemployed but. … Daily Kos at least noted that Romney has used this same number, which adds a smidge of clarity to the obfuscation. If any media analysis stated the simple truth that the U.S. has never had 23 million people unemployed, it’s hard to find. Equally unsaid is the fact that the same number of unemployed people – 12.8 million – that represented 24.9 percent of the workforce in 1933, now represents 8.3 percent of the workforce. Unasked is whether unemployment is just the price the country pays for capitalism, or whether that price is fair. Not only does this defend inaccuracy, it further blurs a reality that the careful reader spots immediately despite the diversion. That reality is frequently left unstated, but there it is in bold outline: the American economy collapsed under President Bush as a result of policies put in place mostly by Republicans. That’s real. And whatever argument may be made – and there are many – that Obama’s efforts have been ineffective, not effective enough or whatever similar characterization you like, the reality remains: Bush hit the iceberg, Obama has been trying to keep the ship from sinking. And that leads to another reality that’s even less talked about: For the past three-plus years, Republican determination to let the ship of state sink in hope of drowning Obama has been so well hidden in plain sight that few people see fit to acknowledge it any more. But it’s been a permanent, structural condition of American government since 2009. Republicans have not only resisted patching holes in the hull and helping to bail, they are now running a campaign based on restoring at least some of the icebergs – unregulated banks, unfunded tax cuts, maybe even a new war on Iran to fill the vacuum left by U.S. withdrawal from Iraq and Afghanistan. For independent voters with few independent candidates to vote for, the choices in November certainly look ideologically bleak. But those of us who are going to vote for the candidates we have, not the candidates we wish we had, need to work through the political and journalistic smog if we want to have even the hope of making a clear-headed choice.